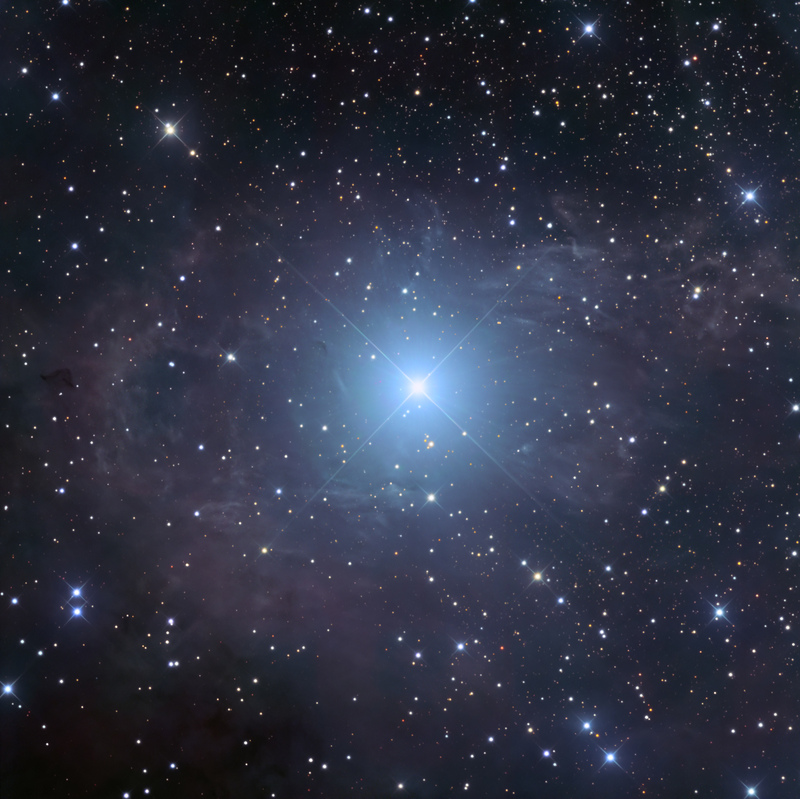 vdB 15 (and neighboring vdB 14) are elongated reflection nebula in Camelopardalis, each extending for ~0.8 degree in the N-S direction. They are both illuminated by two supergiant stars, HD 21291 (B9 Ia) and HD 21389 (A0 Ia) as part of the large Cam OB1 association at a distance of ~3,000 light years – an area of new star formation. 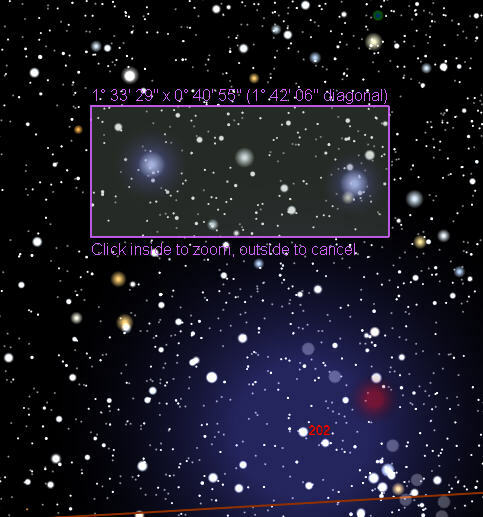 vdB 15 (and 14) are classified as refleciton nebula. However, there is a strong red component in the cloud structure and as a result, the object has a pink hue. This could possibly be from extended red emission from H-a emitting stars in the general vicinity, similar to IC59 and IC63. Although I am not skilled in making mosaics (as the following image demonstrates), I realized after imaging vdB 14 and 15 that I could take another LRGB image and fill in the space between the two objects. The additional image was 4 hours LRGB. PixInsight 1.6 and Photoshop were used to stitch the 3 panes together and blend the images. If I knew in advance that I wanted to make a mosaic, I would have rotated the frames in a way that would produce a long, continuous image. I hope you don’t mind the jagged edges, but if it is any comfort, this is typical of many published Hubble Space Telescope mosaic images. Here is a star map from TheSkyX that matches the above mosaic.